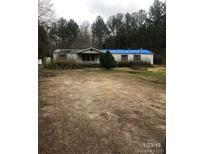 Find Lancaster, SC Foreclosures for sale. View Photos, Maps and MLS Data Now! Very close to quaint downtown Lancaster. MLS#3495219. Century 21 First Choice. Docs that must be filled out and submitted with contract and offer. MLS#3490984. Heartland Realty LLC. Separate dining area off Great room. MLS#3489267. Showcase Realty LLC. Shiloh North Estates - Detached two-car garage and shed that appears in satellite imagery has been demolished and removed recently. MLS#3487188. Ouzts Realty Company, LLC. This 2 bedroom 1 full bath home is situated in downtown Lancaster and a perfect property to expand your investment portfolio or make this your primary residence. MLS#3484903. Heartland Realty LLC. 2000 Clayton Year Model 16x56 Single Wide Manufactured Home 2 Bedrooms, 2 Full Baths, Living Room, Eat In Kitchen, Master Bath Has His and Her Vanity, Garden Tub, Separate Shower, Storm Windows, New Carpet and Paint T/O, Covered Front Porch, Gravel Drive, Tree House In Back Yard, Public Water and Private Septic, On 2 Acres! MLS#3480314. Carolinas Full Service Realty Inc.
Open floor plan, screen porch, and big master suite! MLS#3454019. Century 21 First Choice. Value is in the land. Covered porch and detached building. MLS#3469441. Showcase Realty LLC. Priced to sell.Schedule an appointment today! ! MLS#3468564. Erica Homes LLC. Family Room has wood burning fireplace. Close to shopping & restaurants. MLS#3464427. Century 21 First Choice. Call us today to schedule an appointment! ! MLS#3458551. Erica Homes LLC. Enjoy a closer look at the link below. C:\Users\Owner\Pictures\Exported Videos\102 Azalea _Medium.mp4 MLS#3458620. A Carolina Realty LLC. Fresh paint. Neutral carpet and laminate floors. MLS#3443924. Showcase Realty LLC. Kitchen has granite countertop with an island with beautiful custom oak cabinetry. MLS#3211155. Showcase Realty LLC. These statistics are updated daily from the Carolina Multiple Listing Services, Inc. For further analysis or to obtain statistics not shown below please call Highgarden Real Estate at 704-705-8901 and speak with one of our real estate consultants.